At the height of its growth, there has never been a better time to own a gym or fitness center. If you’ve been on social media in the past few years, you’re already aware of the rising popularity of fitness. From #motivationmonday posts to live streams of strength training, becoming faster, stronger, and healthier is a major priority for Americans. In fact, the average American spends $155 per month on health and fitness. For us entrepreneurs, that’s a business opportunity. Just how much is the industry growing? If you were ever concerned that this uptick in fitness was more of a quick fad than an ongoing trend, think again. In 2015 alone, the North American health and fitness club industry made more than 28 billion dollars, with the U.S. bringing in 90 percent of that total. The U.S. is the single biggest health and fitness market worldwide in both revenue and membership. What’s more surprising is that while there are a few very successful chains (Planet Fitness and MindBody both had outstanding growth last year) this market isn’t dominated by one or two companies. Instead, this industry is led by local players, making it a very lucrative opportunity for prospective small business owners. While it’s clear that the fitness industry is rapidly growing, starting your own gym or fitness center isn’t a guaranteed success. Only with the right resources, expertise, and resourcing can your business take off. 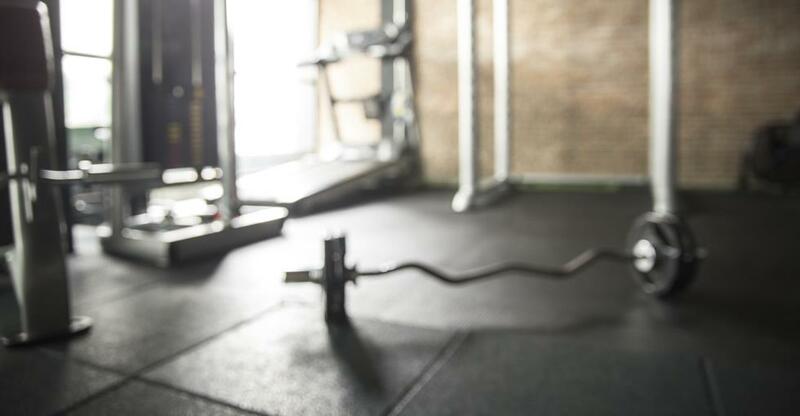 For most people, convenience and accessibility are top priorities when choosing a gym. Going to the gym is daunting for most people — merely showing up is hard enough. Learn your community and determine where the busiest and most accessible areas are for your target market. Whether it’s near the local university, off a busy highway, or within an affluent suburb all depends on who you want to target. The types of services and programs you will offer will be entirely dependent on your market. Understanding your local community is essential before deciding what types of classes, equipment, and trainers to offer. If your local community is mostly senior citizens, HIIT classes may not bring in a ton of foot traffic. But, low-intensity aquatic classes may skyrocket membership sign-ups. According to a recent fitness study, some of the top trends in the industry are HIIT, group training, yoga, and fitness programs for older adults. You’ll notice all of these trends require resources beyond standard gym equipment like ellipticals and free weights. Gym-goers now expect group classes and personal training services included in their membership. Members want help and support from experienced professionals who can take their fitness to the next level. By offering these secondary services you can differentiate yourself from other gyms in the area while offering a boutique fitness experience, without the boutique price tag. With the growth in fitness centers, plenty of people have a minimal “gym” included in their office building, school, or apartment with treadmills, ellipticals, stationary bikes, and weights. What separates a room filled with equipment from a fitness center or gym is a motivating and encouraging experience. Don’t rely on the equipment to give members what they’re looking for. Whether it’s by providing nutritional resources, holding community special events, or providing a rewards program, try to create a supportive, healthy environment that justifies membership fees. You’re going to need help if you want to run a successful business. To offer secondary services and create a community, you’ll need trainers and instructors who can support your growth. Considering these are the people who have the most facetime with your members, it’s important that they are extremely personable and well-qualified. All instructors and trainers should be highly accredited, with proper certifications and training. Take your time hiring to find the right people who align with the attitude and expertise you’ll want your members to experience. From Facebook groups to Instagram influencers, social media is a large part of how members track and share their progress. It’s also how they’ll be doing their research when deciding which facility to join. Show off your amenities, equipment, classes, staff, and community with encouraging and positive posts. Give prospective members a reason to choose your facility over a competitor and give your current members a way to show off their progress. Not only will it give you an edge over competitors, but it’ll also help build the community and experience that members appreciate. There’s never been a better time to get into the fitness industry. With consistent year-over-year growth and a big local market, it’s the perfect opportunity for small business owners. If you can properly serve your community, establish an experience within your facility, and fill it with the best people, you’ll be on your way to success. If you’re looking to buy your own gym or fitness center, trust BusinessesForSale.com to find the perfect space at the best price.